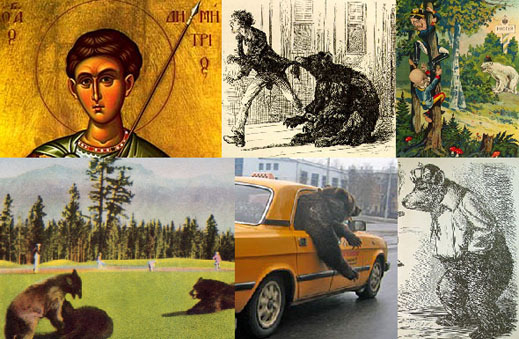 QUESTION: You know, the widespread image of Russia in the world is a certain Russian bear. PRESIDENT MEDVEDEV: This is close to me. QUESTION: We constantly see it in caricatures, in other ways; it is constantly written about; this image has spread. In your opinion, what, maybe, is necessary to change in the country so that we look different abroad as well? Are there any problems that prevent us from looking successful on the international arena? PRESIDENT MEDVEDEV: Well, in my opinion, it is certainly not the image of a bear. To me this image is dear and positive. Speaking seriously, in order to look strong, we, of course, should be modern. Therefore, for us to have a correct image, we should solve our urgent problems, first of all, those social and economic ones. Because, if we can solve them, it will be certainly easier for us to solve international problems. Here we see the objective law – coming back to what we began our conversation with. Therefore, if our international position directly influences the standard of living in our country, then our rate of success inside the country finally reflects in our image outside Russia. And this is also important. QUESTION: And then it seems to me that for citizens of the country it is important to feel that the country whose citizens they are, is a strong country, a respected country. PRESIDENT MEDVEDEV: Obviously. Recall what was happening in the nineties. Many of our people who travelled abroad for the first time complained that they were treated as citizens of an insignificant, third-rate country. And for them it was unpleasant and unusual, because the Soviet Union was reckoned with. And when our passport induced a different reaction, it offended the people and, by the way, sometimes this had direct consequences – both material and moral.